10th Annual Conference on Stem Cell October 08-09, 2018 Zurich, Switzerland; 8th International Conference and Expo on Nanosciences Nov 26-28,2018 Barcelona, Spain; 24th World Nano Conference May 07-08, 2018 Rome, Italy; Cell & Gene Therapy Conference Oct 10 -11, 2018 London, United Kingdom; 5th International Conference on Cellular Materials Oct 24-26, 2018 Bad Staffelstein, Germany; International Congress on Green Biotechnology Nov 01-02, 2018 Taroudant, Morocco; 16th Asia Pacific Biotechnology Conference August 15-16, 2018 Singapore; 22nd World Congress on Biotechnology July 10-11, 2018 Bangkok, Thailand ; 6th Annual Congress on Biology, 6th Annual Congress on Medicine of Molecules September 17-18, 2018 Abu Dhabi, UAE, 18th European Biotechnology Conference July 1 - 4, 2018 Geneva, Switzerland. Track 2: Biochemistry: Biochemistry applies chemistry to the study of biological processes at the cellular and molecular level and explores the chemical processes within and related to living organisms. It is a practical, laboratory based science that pool biology and chemistry. Biochemistry is an incredibly profound and multifarious field of research that touches nearly all aspects of our lives. It uses the methods of physics, chemistry, molecular biology and immunology to study the structure and behaviour of complex molecules found in biological material and the ways these molecules interact to form cells, tissues and whole organisms. As one of the wide-ranging of the basic sciences, biochemistry includes many sub-disciplines such as bioorganic chemistry, physical biochemistry, clinical biochemistry, molecular genetics, neurochemistry, biochemical pharmacology and immunochemistry. Track 3: Cell Biology: Cell biology is the study of cell, its structure and function, and it revolves around the concept that the cell is the fundamental unit of life. Cells are considered the basic units of life, because they come in discrete and easily recognizable, self-sufficient packages. That's because all cells are surrounded by a structure called the cell membrane, also referred to as the plasma membrane — which, serves as a border between the cell's internal and external environments. In the broad picture, cell biology stresses on the function and structure of a cell, from the most general properties shared by all cells, to the unique, highly intricate functions particular to specialized cells. Track 4: Genetic Engineering: Genetic engineering is the artificial process of genetic modification, manipulation, and recombination of DNA or other nucleic acid molecules in order to enhance or modify the characteristics of an individual organism. Genetic engineering can be applied to the study of diseases in humans and collection of human genetic sequences that could provide a complete record for inheritance of healthy individuals. Genetically modified bacteria are frequently used for generating industrial chemicals. A large multitude of organic chemicals are being synthesised at large scales with the help of genetically engineered microorganisms. An important application of genetic engineering is to modify the genotype of crop plants to make them more nutritious, productive, protein rich, disease and abiotic stress resistant, and less fertilizer consuming. Genetic engineering and plant tissue culture techniques are used to produce high yielding cereals, pulses and vegetable crops. 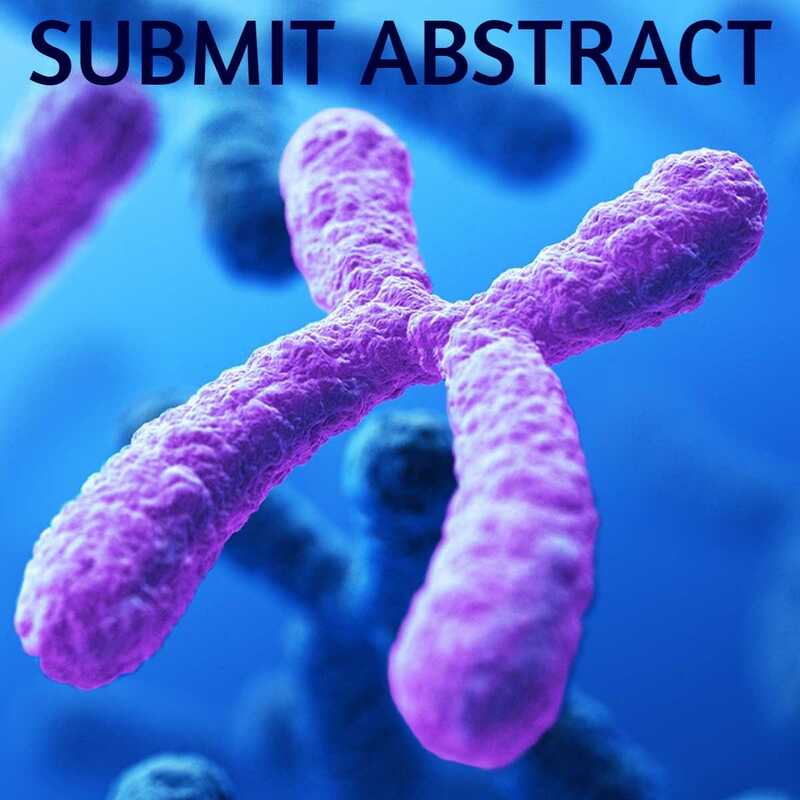 Track 5: Molecular Biology and Genetics: Genetics is the branch of biology concerned with the study of genes and their role in inheritance – the manner in which certain traits are passed down from generation to generation. There are various degrees of genetics: Transmissible genetics, deals with studying how the hereditary traits are passed from parent to progeny. Here the transmission of traits is studied at a single organism level. Molecular genetics studies the chemical nature and function of the gene itself and evaluates how genes encode the genetic information which is replicated and then used by the organism in the form of protein. Same gene across different species, individuals and types of organism is also studied. Population genetics studies the makeup of the population in one species, and deals with genetic differences within and between populations with large number of individuals to study the variations in the species or gene pool. Biochemistry & Molecular Biology October 11-12, 2018 Amsterdam, Netherlands ; International Conference on Molecular Biology and Medicine August 27-28, 2018 Dubai, UAE ; World Congress on Advanced Structural and Molecular Biology 2018 August 22-23, 2018 Rome, Italy ; World Congress on Plant Science and Molecular Biology September 12-13, 2018 Singapore ; 6th Annual Congress on Medicine of Molecules September 17-18, 2018 Abu Dhabi, UAE; 10th Annual Conference on Stem Cell October 08-09, 2018 Zurich, Switzerland; 16th Asia Pacific Biotechnology Conferences August 15-16, 2018 Singapore; 22nd World Congress on Biotechnology July 10-11, 2018 Bangkok, Thailand, 18th European Biotechnology Conferences July 1 - 4, 2018 Geneva, Switzerland. Track 6: Immunology: Immunology is the study of the body’s in-built defence mechanism- the immune system. The immune system protects the individual from infection through various lines of defence, including the skin, fortified by substances secreted by the body, such as saliva and tears, that contain molecules that can destroy bacteria, internal mucosal layers in the lungs & airways, and the gastrointestinal tract are coated with mucus that is able to trap potential pathogens. Mobile ciliate hairs in the airways work together to transport contaminants away from defenceless areas. The skin, mucosal layers and airways also contain immune cells populations that attack and neutralize pathogens that breach the physical defences. Track 7: Microbiology: Microbiology is the scientific study of microorganisms, too small to see with the naked eye and include bacteria, algae, protozoa, and fungi, as well as acellular beings, such as viruses, virions and prions. Microbes find use in numerous beneficial processes such as industrial fermentation, including the production of vinegar, alcohol, & dairy products and industrially important substances like antibiotics and amino acids. Microorganisms act as vehicles or vectors to transfer DNA to complex organisms such as plants and animals. Genetically engineered microorganisms are also being used to produce biotechnologically important enzymes such as Taq DNA polymerase and reporter genes. Microorganisms are also used in the production of a variety of biopolymers, such as polysaccharides, polyesters, and polyamides. Microorganisms are instrumental in biodegradation and bioremediation of domestic, agricultural and industrial wastes. Symbiotic microorganisms grant health benefits to their human or animal hosts including help in digestion, producing beneficial co-enzymes and vitamins and amino acids, and competing with and suppressing pathogenic microorganisms. Track 8: Cancer Biotechnology: Cancer is caused by undesired changes in the genome as well as in the proteome. These changes allow cancer cells to evade normal cellular control mechanisms and so these cells start growing uncontrolled. Cancer research and drug development have entered a new age, together with the concomitant emergence of novel technologies, such as whole-genome sequencing, proteome profiling and exome sequencing. Molecular research has showed major types of mutations for many cancer types, locating specific targets and, therefore, drug development. This recently gathered information helped to cater the need for tailored, individualized cancer treatment. The biotechnology landscape confirms that, for each patient, gene sequencing developing, individual protein profiling, intracellular signalling pattern or miRNA signature are paving the road to personalized medicine concept and toward patient-dedicated therapy. 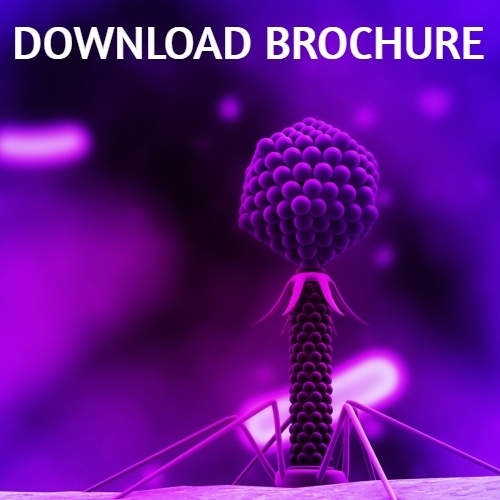 11th International Virology and Microbiology July 27-28, 2018 Vancouver, Canada ; 11th World Congress on Virology and Infectious Diseases May 17-18, 2018 Tokyo, Japan ; 2nd International Conference on Cancer Biology, Therapeutics and Drug Discovery & Delivery October 03-04, 2018 Los Angeles, California, USA ; Beatson International Cancer Conference July 01- 04, 2018 Glasgow, Scotland ; 36th World Cancer Conference October 11-13, 2018 Zurich, Switzerland; 16th Asia Pacific Biotechnology Conference August 15-16, 2018 Singapore; 22nd World Congress on Biotechnology July 10-11, 2018 Bangkok, Thailand, 18th European Biotechnology Conference July 1 - 4, 2018 Geneva, Switzerland. Track 9: Genomics: Every living being has DNA – the code that dictates its biological functions and affects its mode of interaction with the environment. Genomics is the science of comprehending, interpreting and harnessing this DNA code and its function to create actual and pragmatic solutions. Genomics research is imperative to challenging many of the global healthcare issues in the forthcoming years. Research interests have differentiated with the advancements in the technical capacity to investigate them, and now vary from genealogy to mapping the three-dimensional structure of chromatin in living cells. Past successes vitalize the launch of a new era or genomics research, to explore the remarkable landscape of opportunity that now uncover before us. Track 10: CRISPR-Cas 9 and Gene Editing: “CRISPR” (pronounced as “Crisper”) is an acronym for Clustered Regularly Interspaced Short Palindromic Repeats. The functions of CRISPR and CRISPR-associated (Cas) genes are the hallmark of a bacterial defence system that are essential in adaptive immunity in select bacteria and archaea. These sequences enable the host organisms to respond to and neutralize invading genetic material. “CRISPR” or “CRISPR-Cas9” is often used (inaccurately) to refer to the different CRISPR-Cas9 and other systems that can be programmed to edit DNA at precise locations. It can also be used for other purposes, such as new diagnostic tools. With these systems, genes can be permanently modified in living cells and organisms. It may be possible, in the future, to correct mutations at precise locations in the human genome for the treatment of genetic disease. Cell therapy and Molecular Medicine, September 27-28, 2017, Chicago, Illinois, USA; Molecular Genetics and Gene Therapy, July 03-05, 2017 Thailand, Bangkok; Cell and Gene therapy, March 26-27, 2017 Berlin, Germany; 25th World Congress on Cancer Therapy, Oct 18-20, 2017, Baltimore, USA; Stem Cell and Regenerative Medicine, September 25-26, 2017, Berlin, Germany; Wisconsin Stem Cell Symposium, April 19, 2017, Wisconsin; Advances in Stem Cells and Regenerative Medicine, May 23 - 26, 2017, Heidelberg, Germany; Managing Cell and Human Identity, April 16, 2017, Pennsylvania, USA. Track 11: Gene and Cellular Therapies: Gene therapy is designed to introduce new genetic material into cells to compensate for faulty genes or to make a useful protein. A mutated gene may cause an essential protein to be non-functioning or missing, in that case, gene therapy may be able to introduce a normal copy of the gene, which would produce the a normal and functioning protein. Cell therapy is the administration of whole, living cells in a subject for the treatment of a disorder. Cells used for therapy may be from the same individual (autologous source) or from another individual (allogeneic source). Cells used are obtained from stem cells, or induced pluripotent stem cells (iPSCs), reprogrammed from the dermal fibroblasts or adipocytes. Stem cells or mature cells, differentiated in vitro from stem cells are both used in cell therapy. 2nd Annual Summit on Cell Signaling and Cancer Therapy, Sep 19-20, 2018, Philadelphia, USA; 2nd Annual Summit on Cell Therapy and Stem Cell Research, Nov 9-10, 2018, Atlanta, USA; 2nd World Biotechnology Congress, Dec 4-5 2017, Sao Paulo, Brazil; 9th International Conference & Exhibition on Tissue Preservation and Biobanking, Nov 9-10 2018, Atlanta, USA; 10th World Congress and Expo on Cell & Stem Cell Research, March 19-21, 2018 in New York, USA; British Society for Gene and Cell Therapy (BSGCT) Public Engagement, Mar 15, 2018, Oxford, UK; International Society for Cellular Therapy (ISCT) Annual Meeting, May 2-5, 2018, Montreal, Canada; American Society of Gene and Cell Therapy (ASGCT) 21ST Annual Meeting, May 16-19, 2018, Chicago, IL, USA; Gene Therapy Bioproduction Conference, Aug 13-16, 2018, Boston, USA; XXVI Congress of the European Society of Gene and Cell Therapy (ESGCT), Oct 16-19, 2018, Lausanne, Switzerland. Track 12: Tissue Engineering: Tissue engineering can be defined as an interdisciplinary field that utilizes the principles of engineering and life sciences for the development of biological substitutes that restore, recover, maintain, or improve the function of a tissue or an entire organ. The technique employs scaffold matrices to fill the tissue void, to provide structural support and to deliver growth factors and/or cells that are capable of forming tissues within the body, upon transplantation. The construction of an engineered tissue in vitro requires the use of cells to fill matrices and produce matrix resembling that of the native tissue. The main successes in this area have come from the use of primary cells, taken from the subject, and used in unification with scaffolds to produce tissue for re-implantation. International Conference on Tissue Engineering and Regenerative Medicine, Sep 10-11, 2018 Singapore; International Tissue Engineering in Biomedicine Congress, Aug 27-28, 2018, New York, USA; International Conference on Biomaterials and Tissue Engineering, Feb 25-26, 2019, Dubai, UAE; International Tissue Engineering and Biomaterials Conference, Feb 21-22, 2019, Paris, France; International Conference on Stem Cell and Regenerative Medicine, Jun 11-12, 2018, Barcelona, Spain. International Conference on Biomaterials and Tissue Engineering, Apr 19-20, 2018, New York, USA; International Conference on Mechanobiology and Tissue Engineering, Jun 11-12, 2018, Barcelona, Spain; International Biomaterials and Interface Tissue Engineering Conference, Feb 27-28, 2018, Dubai, UAE; International Biotechnology, Biomaterials and Regenerative Medicine Congress, Apr 16-17, 2018, Lisbon, Portugal; International Conference on Regenerative Medicine and Tissue Engineering, Jun 07-08, 2019, San Francisco, USA. 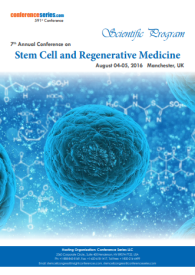 Track 13: Stem Cells and Regenerative Medicine: Regenerative medicine is a relatively new field of study that heals or replaces tissues and organs damaged by age, disease, or trauma, as well as to ameliorate congenital defects. Recent promising preclinical and clinical data supports the possibility for treating both chronic and acute diseases. Regenerative medicine is also able to abet diseases occurring across a wide array of organ systems, including cardiovascular diseases and traumas, skin diseases, treatments for certain types of cancer, and so on. One of the aims of regenerative sciences is to create new body parts from a patient’s own cells and tissues. This would serve two functions: eliminate the demand for organs; and eliminate the complications due to organ rejection. When there is damage to tissues or organs, they could repair themselves with pluripotent stem cells; this process could reverse or prevent damage to vital organs. Track 14: Protein Engineering: Protein engineering is the production of unnatural polypeptides, often through modification of amino acid sequences that are found normally in nature. Synthetic protein structures and functions can be designed entirely on a computer or produced through directed evolution in the laboratory. There are two major methods for protein engineering, rational design and irrational design, also known as directed evolution. In rational design, knowledge of the structure and function of the protein is taken into consideration and a coherent gene mutation is calculated. Mostly, this is done by making rationally designed changes in the gene of the protein cloned in expression vector of heterologous expression. The production of protein molecules is transformed by site directed or site specific mutagenesis of their genes. However, in some cases protein structure is not available and directed evolution method is required. In this method, random changes (mutation) are done in the protein and the mutant protein with the most desired characteristics is selected for further evaluation or studies. 5th International Conference on Enzymology and Molecular Biology February 28-March 01, 2019 Berlin, Germany; 4th International Conference on Enzymology, Lipid Science & Glycobiology September 17-18, 2018 Singapore; EuroSciCon Congress on Enzymology and Molecular Biology August 13-14, 2018 Paris, France ; Cell & Gene Therapy Oct 10 -11, 2018 London, United Kingdom; 5th International Conference on Cellular Materials Oct 24-26, 2018 Bad Staffelstein, Germany; International Congress of Green Biotechnology Nov 01-02, 2018 Taroudant, Morocco; Modeling and Translation of Rare Diseases Nov 11- 14 Nov 2018 Vienna, Austria; 16th Asia Pacific Biotechnology Conference August 15-16, 2018 Singapore; 22nd World Congress on Biotechnology July 10-11, 2018 Bangkok, Thailand, 18th European Biotechnology Conference July 1 - 4, 2018 Geneva, Switzerland, Biotechnology Conferences. Track 15: Metabolic Engineering: Metabolic engineering is the use of genetic engineering to optimize the metabolism of an organism. It involves the introduction of new or recombinant genes or genetic circuits into host cell genomes in order to optimize or introduce new metabolic pathways. It can involve the optimization of existing biochemical pathways or the introduction of new pathway components, most commonly in bacteria, yeast or plants, with the goal of high-yield production of specific metabolites for medicine or biotechnology. Metabolic engineering is essentially utilizes E. coli or other approachable microorganisms into efficient “factories”, optimized to produce a desired biomolecule with higher yield and purity than non-genetically engineered organisms. Track 16: Bioinformatics: Bioinformatics develops and applies computational methods to compute large amounts of biological data, such as DNA sequences, cell populations or protein samples, to make predictions or discover new biology. The computational methods used for analysis and evaluation include analytical methods, mathematical modelling and simulation. Bioinformatics aims at organizing data in a manner that allows scientists to access existing information and to submit new data as it is generated. Secondly, bioinformatics aims to develop tools and resources that aid in the analysis and evaluation of data, for the simple reason that, further research and analysis cannot be carried out only with a straight forward research. Bioinformatics also aims to utilise these tools to investigate the data and interpret the results in a meaningful manner. 10th Annual Conference on Stem Cell October 08-09, 2018 Zurich, Switzerland; 8th International Conference and Expo on Nanosciences Nov 26-28,2018 Barcelona, Spain; 24th World Nano Conference May 07-08, 2018 Rome, Italy; Cell & Gene Therapy Oct 10 -11, 2018 London, United Kingdom; 5th International Conference on Cellular Materials Oct 24-26, 2018 Bad Staffelstein, Germany; International Congress of Green Biotechnology Nov 01-02, 2018 Taroudant, Morocco; 16th Asia Pacific Biotechnology Conference August 15-16, 2018 Singapore; 22nd World Congress on Biotechnology July 10-11, 2018 Bangkok, Thailand ; 6th Annual Congress on Biology, 6th Annual Congress on Medicine of Molecules September 17-18, 2018 Abu Dhabi, UAE, 18th European Biotechnology Conference July 1 - 4, 2018 Geneva, Switzerland. Track 17: Nanobiotechnology: Nanobiotechnology is a discipline in which nanotechnology tools are developed and applied to study biological processes and other phenomena. Applications of bionanotechnology are extensive. Bionanotechnology, promises to reinvent biological mechanisms and pathways in a manner that is useful in other ways. As far as the distinction holds, nanobiotechnology is much more commonplace for the fact that it simply provides more tools for the study of biology. Nanobiotechnology is relatively new to the industry, medicine and the consumer. Nanobiotechnology relies on a vast array of research methods, including experimental tools e.g. imaging, characterization via AFM/optical tweezers etc., x-ray diffraction based tools, synthesis via self-assembly, characterization of self-assembly (using e.g. dual polarization interferometry, recombinant DNA methods, etc. ), theory (e.g. statistical mechanics, nanomechanics, etc. ), as well as computational approaches (bottom-up multi-scale simulation, supercomputing). Track 18: Animal Biotechnology: Animal biotechnology is a discipline of biotechnology in which molecular biology techniques are used to genetically engineer (i.e. modify the genome of) animals. Animals engineered in this manner are more suitable for agricultural, industrial and/or pharmaceutical applications. Animal biotechnology is also used to produce genetically modified or transgenic animals that can synthesize therapeutic proteins, have improved growth rates, enhanced lean muscle mass or are enhanced resistance to diseases. Genetically engineered, transgenic poultry swine, goats and cattle have been developed, that can generate large quantities of human proteins, with the aim of using these proteins and other macromolecules as human pharmaceuticals (usually include enzymes, clotting factors, albumin and antibodies). Track 19: Plant Biotechnology: Plant biotechnology, in simple terms, is the application of recombinant DNA techniques to plants for crop improvement, disease or stress resistance, or the production of desirable metabolites or other molecules in plants. Plants are already used as sources of an immense array of useful things, including food and feedstuffs, fibre, clothing & paper and of course, drugs. Consequently, the possibilities for improving the quality and quantity of current products and making new products utilizing plant biotechnology are almost limitless. Plant biotechnology tools offer mankind one of its most significant opportunities to manage the ever growing and ever changing demands for food, feed and fibre production, while also contributing to the sustainability of agriculture and aiding in industry and medicine. Track 20: Industrial and Environmental Biotechnology: Industrial biotechnology employs the application of biotechnology for sustainable processing and production of chemical products, therapeutics, industry chemicals and fuels. Biotechnological processing uses microorganisms or enzymes to produce products that are useful to a broad range of industrial sectors, including human and animal nutrition, energy, pulp and paper, textiles, chemical and pharmaceutical, materials and polymers. Ultimately, the success of industrial biotechnology depends on the economics of specific processes. Environmental biotechnology is the branch of biotechnology addressing environmental issues, such as renewable energy generation, removal of pollution, or biomass production, by exploiting biological processes. The advantages of biotechnological treatment of wastes include natural biodegradation of a variety of dangerous substances by microorganisms; availability of different biotechnological methods for complete detoxification of hazardous wastes; and variety of conditions suitable for biodegradation and bioremediation. 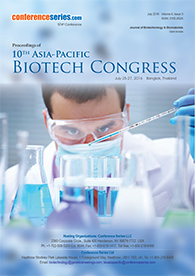 Conference Series LLC Ltd invites participants from all over the world to attend the 25th Asia Pacific Biotechnology Congress which is being organized in Kyoto, Japan during May 01-02, 2019. The conference will include keynote presentations, oral talks, poster presentations, virtual presentations, and exhibitions. The goal of this conference is to unite the international biotechnology community to take a fresh look at the key topics and challenges that our field faces. The theme of this Conference is “Discovering new frontiers in life sciences”. As practitioners, scholars, and citizens we need to work together to explore the possibilities and plan strategically the collective growth of our science, its applications, and practices. We hope to achieve advancements in many facets of this multidisciplinary field, from agriculture and bio-manufacturing to groundbreaking cancer treatments and medicines, to even information technology and bioinformatics. The focus of this conference will connect the global biotechnology community by fostering dialogues between entrepreneurs, business executives, tech practitioners, academics, and investors. We request you to join us for insightful discussions on advancements in cancer biotechnology, tissue engineering biology, environmental sustainability in the circular economy, hardware to make new biotechnologies easily available, and if biotechnology will be the key to our future health. 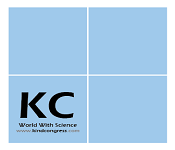 Present your research, exchange information, meet with scientists and industry delegates, make a presentation on any of the conference sessions, and receive recognition at this two-day meet. 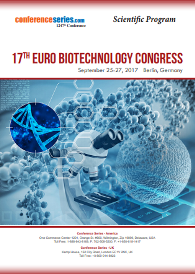 World-renowned speakers, the most recent techniques, developments, and the newest updates in biotechnology and biomedical engineering will be the hallmarks of this conference. Biotechnology scientists and companies looking to learn the latest engineering and Bio-medical technologies for converting small molecule, natural product pathways into novel compounds, Presidents and Chairpersons from associations, societies associated with biotechnology and other life sciences, CEOs, Faculty members, research scientists as well as early career scientists are welcome at the conference. The 16th Asia Pacific Biotechnology Congress was organized during August 15-16, 2018 at the Holiday Inn Singapore Atrium, Singapore.The conference was marked with the attendance of Editorial Board Members of supported OMICS Group journals, scientists, brilliant young researchers, business delegates and talented student communities representing more than 10 countries, who made this conference fruitful and productive. Asia Pacific Biotechnology 2018 was moderated by Dr. Ashish Wadhwani (JSS Academy of Higher Education and Research, India). We are grateful to our moderators and organizing committee members for their generous support and suggestions for the conference. Sensitivity and role of MRI in diagnosis of retinoblastoma in comparison with histopathology: Eisha Tahir, Shalamar Hospital, Pakistan. Scientific sessions were chaired and co-chaired by Lingzhi Wang, National University of Singapore, Singapore and Jiancheng Hu, National Cancer Centre Singapore, Singapore. Conference Series LLC has taken the grand privilege of felicitating Asia Pacific Biotechnology 2018 organizing committee, editorial board members and keynote speakers who supported for the success of this event. The esteemed guests, keynote speakers, well-known researchers and delegates shared their innovative research and vast experience through their presentations at the podium of Asia Pacific Biotechnology Congress 2018. We are glad to inform that all accepted abstracts for the conference have been published in the Journal of Tissue Science & Engineering as a special issue. We are also obliged to various delegate experts, company representatives and other eminent personalities who supported the conference by facilitating active discussion forums. We sincerely thank the organizing committee members for their presence, support, and assistance. 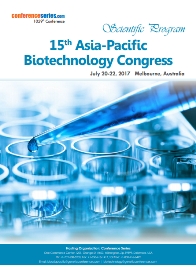 With the unique and positive feedback from the conference, Conference Series LLC Ltd would like to announce the commencement of the "25th Asia Pacific Biotechnology Congress" which is being organized during May 01-02 at Kyoto, Japan.